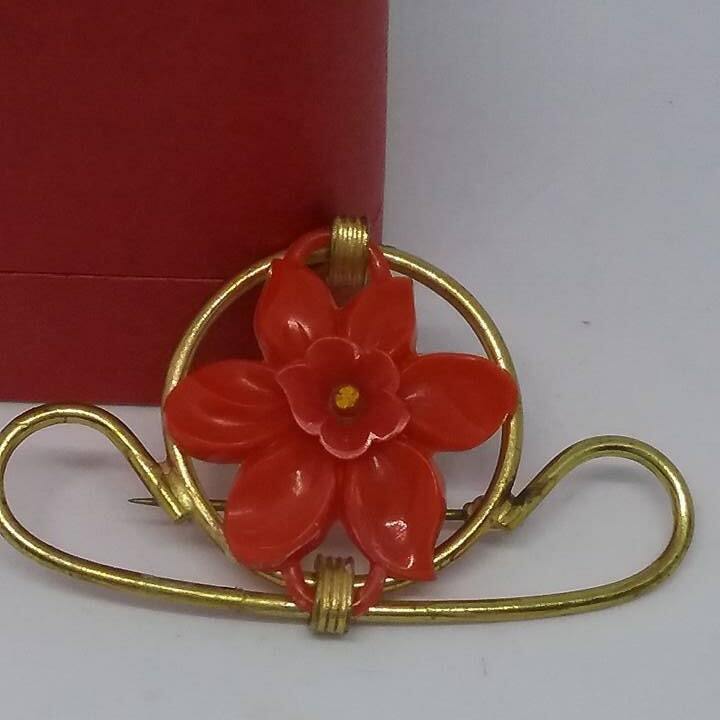 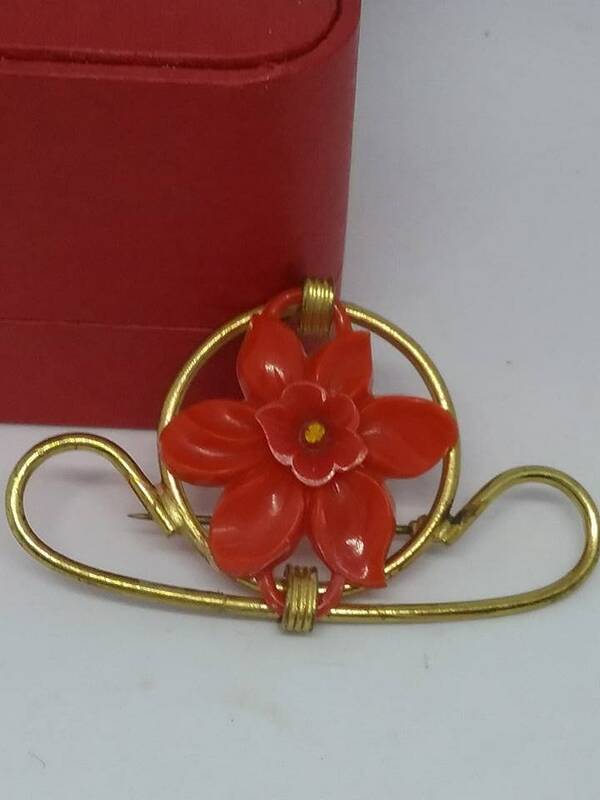 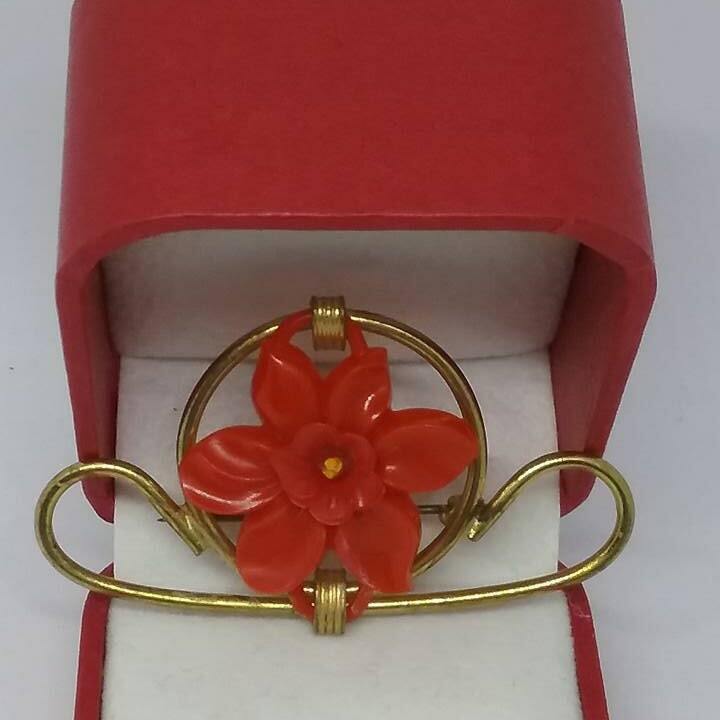 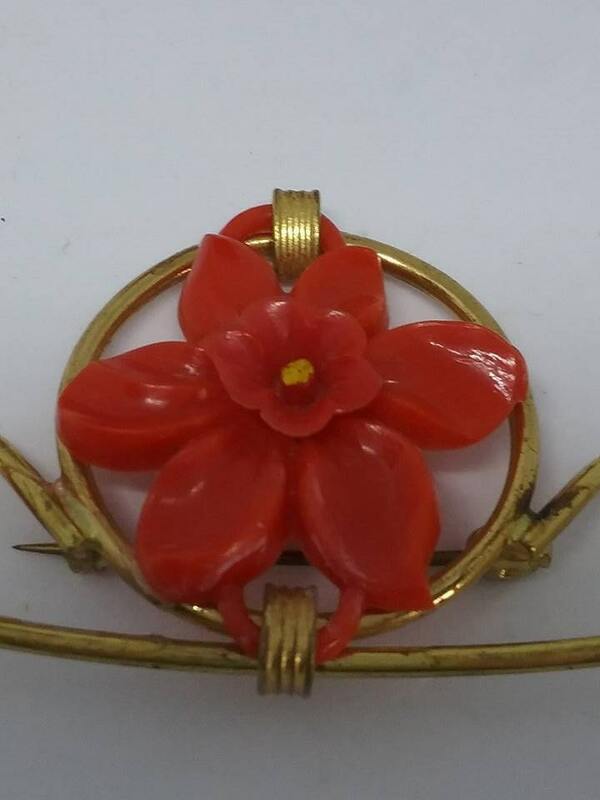 Very unique, red celluloid flower wrapped with a dramatic wire setting. 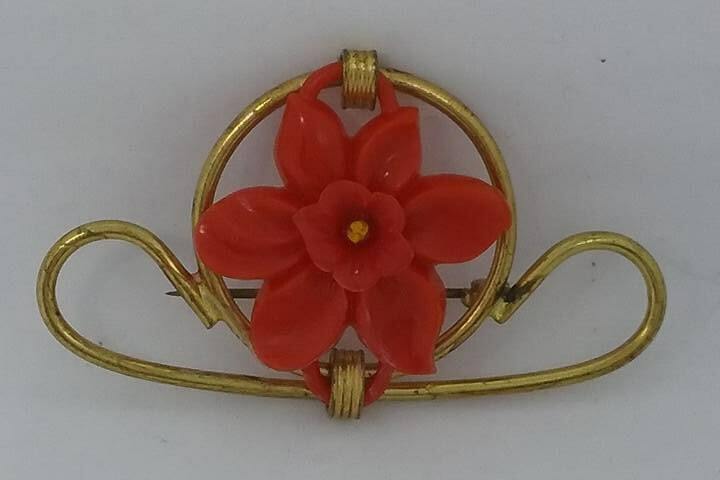 In very good vintage condition, it is as much a piece of art to wear, as it is a brooch. 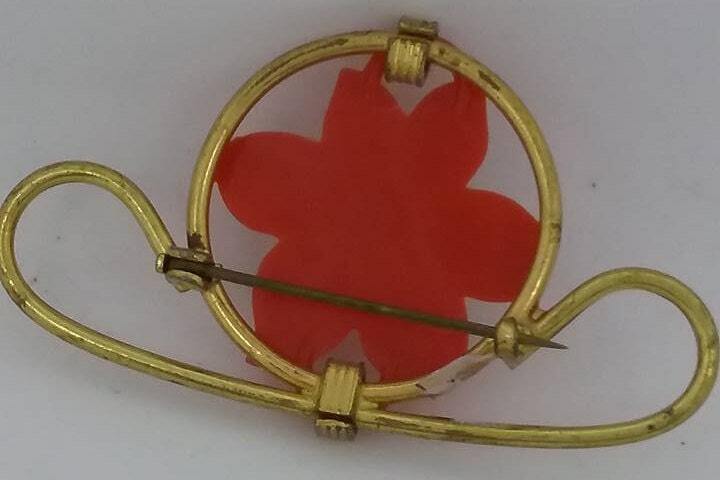 They will take a second look!